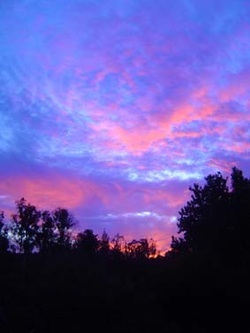 Origins/Coorain has 14 acres of steep, south facing rural bush running along the Bibbulmun Track and Balingup Brook. The land is flatter near the brook where the buildings are. Coorain is on a flat ridge at the top of the hill. 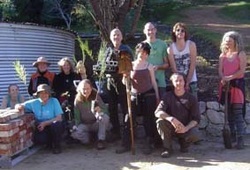 In the years before 2010, the Origins property became positively engorged with very invasive grasses, blackberry, honeysuckle, black wattle… BUT on the 1st of November 2010 we began a new endeavour. Our goal was to make the land fire-safe and accessible, featuring diverse local plants and animals. We are committed to hours of regular weekly work as the only viable solution. This strategy is, naturally enough, having a wonderful effect. There is often room for labour, new tools, human-made habitat such as hollow log birdhouses, and log habitats. 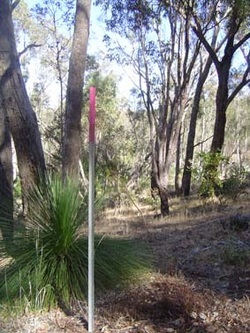 We are all helping create a model for rural remnant bush use. Ian Hackett is project supervisor. It costs $12-$15,000 per year to finance our landcare. Origins Centre and Coorain have put their efforts together to work towards the regeneration of the bushland on this beautiful, diverse and challenging block. It has been some time since an update, but that doesn't mean we haven't been busy. Many plants have been put in the ground and tended until the tree guards come off. 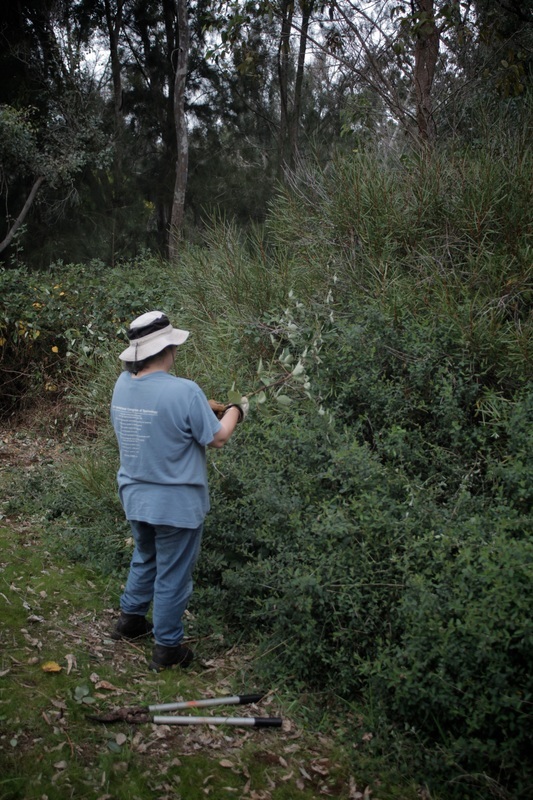 The blackberry, bridal creeper, black wattle, white gum and other invasive species are coming increasingly under control. Years ago we released Bridal Creeper rust which defoliates the Creeper and saves us work. Thank you CSIRO!! Native grasses abound, and don't the kangaroos just love them. There seem to be so many Mardoo that they turn up in the house. One person found one drinking her old cup of tea!! Quenda dig up the ground looking for food and raptors sail overhead. We have a goshawk nesting, and an owl. Up the hill from Tara Springs, another small wetland is being developed - beautiful Juncus reeds abound and frogs populate these places. Our dam held water all year for the first time. There have been many people help a little and some help a lot. About 12-16 hours each week gets done - the paths are raked, and sticks piled. Fire, of course, is a very serious issue for us all. We have a fire plan, hoses and definite management protocols. If there is serious fire nearby, all guests must evacuate. I must say that the culture of care at Origins is really pretty strong. People take care with water and we are managing well. More tanks have been added on the ridge. Our wonderful neightbours share water from their dam with us as well. Next time you visit, and feel like a good long walk, hike along our pathways and see what's happening. Our remnant bush regeneration project is a joy for all. Our experienced Naturalist friends from Victoria, Reto and Yvonne, are regular visitors to the Centre, and have a keen eye for the beauty that surrounds us. They are skilled photographers and have an IR night camera which they set up during the May Retreat. Here is a slideshow of some of their photos, and below are two short videos showing some of the nocturnal activity on the block. Although it keeps us busy 'grazing' the place with whippersnippers to get rid of unwanted annuals and other weeds, the work is lighter each year. 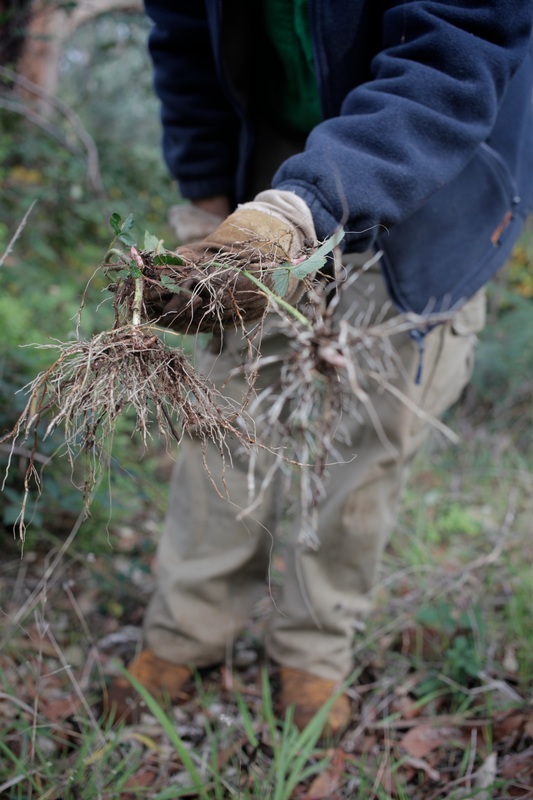 More hand weeding has allowed control in areas of strong native regeneration.Some of this is really wonderful with good areas of various native grasses, ground covers, shrubs and trees. Ian is currently updating the transects which show a marked increase in diversity. All the plantings have flourished and we are keeping an eye on seed again this year, this is our second season of collecting for this project. We are collecting seed from natives on Origins and Coorain blocks; however, some seed will need to be sourced from other sites to get the diversity required for a healthy bushland under-storey. Collected seed will be used to direct seed into ash beds and for germinating in tube stock for planting out. With any excess seed we will start our very own native seed bank! We are aiming to build a seed stock that can be used for future revegetation works and for selling on, with the proceeds going towards future enviro works. Do come down for a look. If you would like to work, there's path making, an ongoing task. The changes that are happening on the hill are really positive thanks to the hard work of many helping hands. 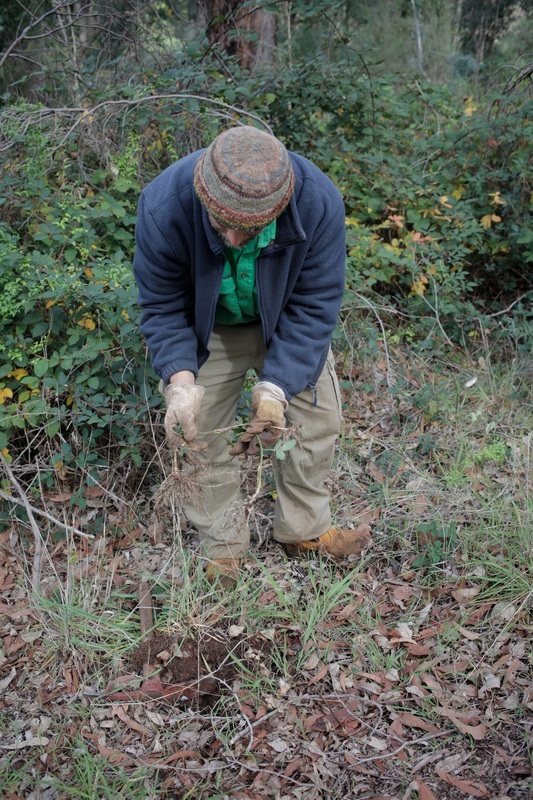 Last month a dedicated team of tree planters helped to get 360 plants in the ground. We concentrated dense plantings around the dam and Tara springs. Just over half of the plants were grown from seed collected, of native regeneration of acacia’s, from the Origins Centre and Coorain properties; a big thanks to Geographe community nursery for donating the rest. The resurgent Phalaris is being poisoned and early blackberry grubbed and prepared for poisoning. Our network has grown, with inspections by Blackwood Environment group and guests who have expertise from years of good work. We will be doing more seed collecting later in 2012 to grow on for next year’s planting season. A seed collecting workshop may be run, keep an eye on this page for details. Thanks to all our enviro- helpers; as we grow so does the health and vitality of this beautiful landscape with your efforts. Environmental weeding has been the major activity, with the management and control of masses of blackberry and phalaris grass. Chimē and Brian along with other helpers have done a fantastic job, much sweat and some blood I’m sure in bringing these weeds under control. Other environmental weed species that have been addressed include introduced Acacia and honeysuckle. The methods that have been used are labour intensive (this providing a benefit to the bush and for management), with very minimal use of herbicide. All herbicide use has been undertaken with great responsibility and care for this land and its human and other inhabitants, always with maintaining a healthy environment and water ecology in mind. Check out the difference- the change is amazing in such a short space of time. 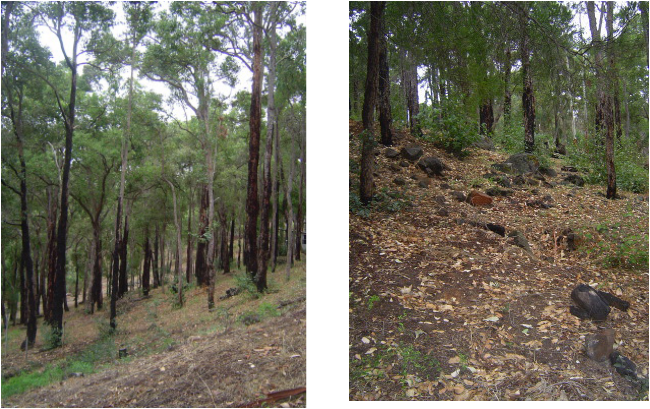 With these works being well-established the focus now turns to maintaining the weed control activities as required while continuing to improve the health and diversity of this indigenous bushland ecosystem. Natural regeneration processes are underway with new life of local / indigenous plant species emerging in every part of the block. Direct seeding into ash beds from fire hazard reduction activities has been very encouraging with loads of germination coming up to protect the soil and provide habitat. 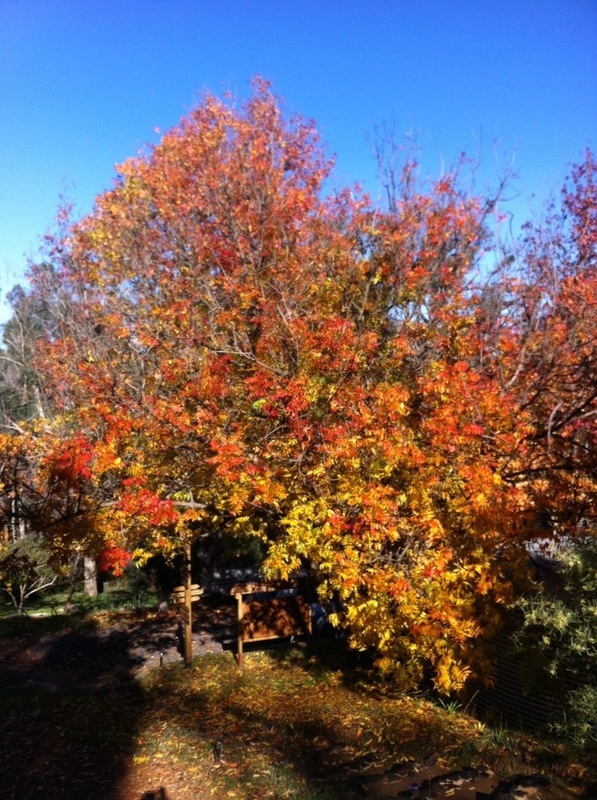 Future seed collection on-site will provide for more direct seeding and revegetation. Access around the property is growing with tracks and pathways made; revegetation plantings will be ongoing. Its great fun for all to dig in and get dirty, or just be there to support the activity in any way you are able. Along the way there has been much documentation of the project with weed management plans, data collection and monitoring with vegetation transects and work records. 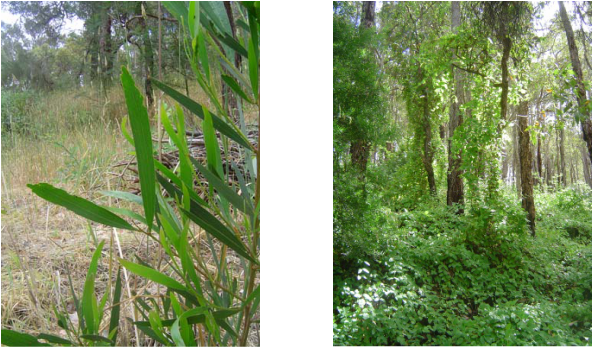 Zone planning for the future incorporates a potential food forest with areas of natural bushland and seed production: all potential opportunities.